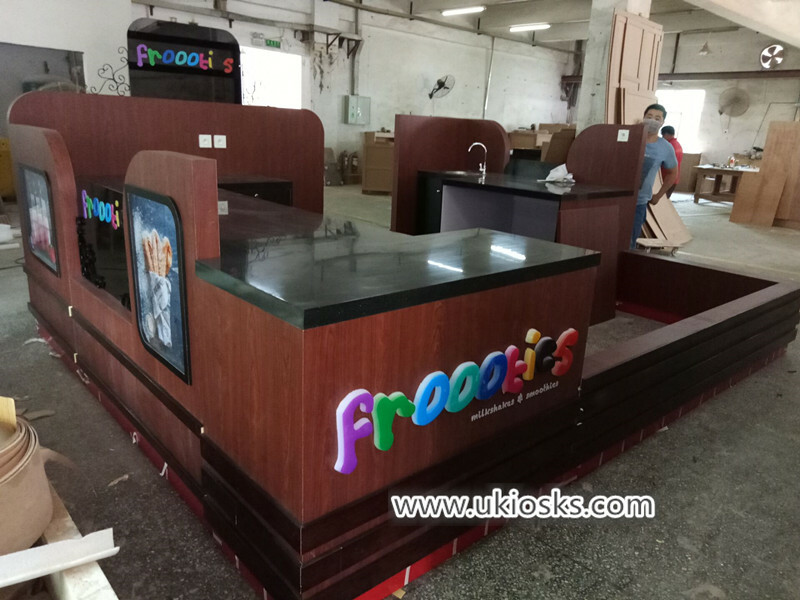 Hello everyone , warm welcome visit our page ,today i wannt introduce a wooden dipping ice cream kiosk for your meet , we just finished it yesterday , already arrange shipping it to Mozambique , the client will received the kiosk soon . 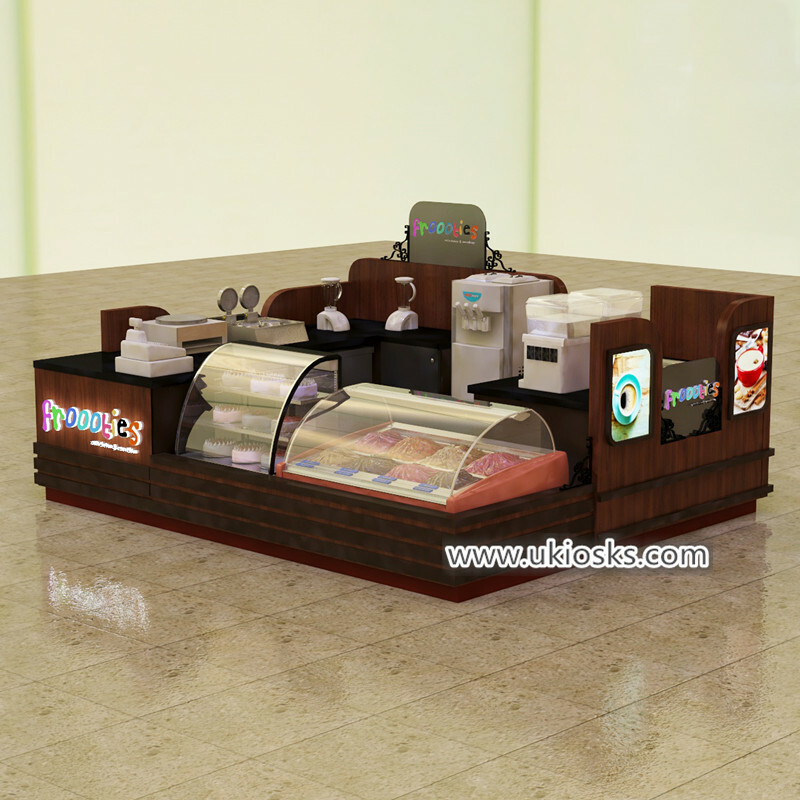 below is more details about this dipping ice cream kiosk for your review . 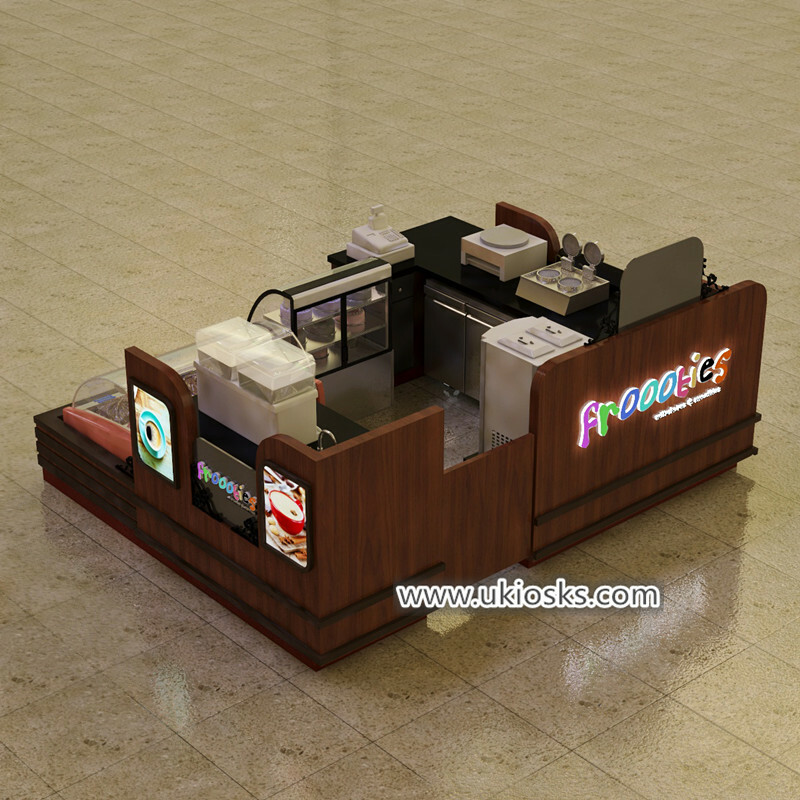 1.Basic information about this dipping ice cream kiosk . Item : dipping ice cream kiosk . Color : brown , black , white . Material : E1 plywood, laminate . Workcounter : black man-made-stone worktop. Accessories : led light strip . acrylic logo . Package : foam inside + wooden boxoutside . 2.Some HD 3d images for your review . 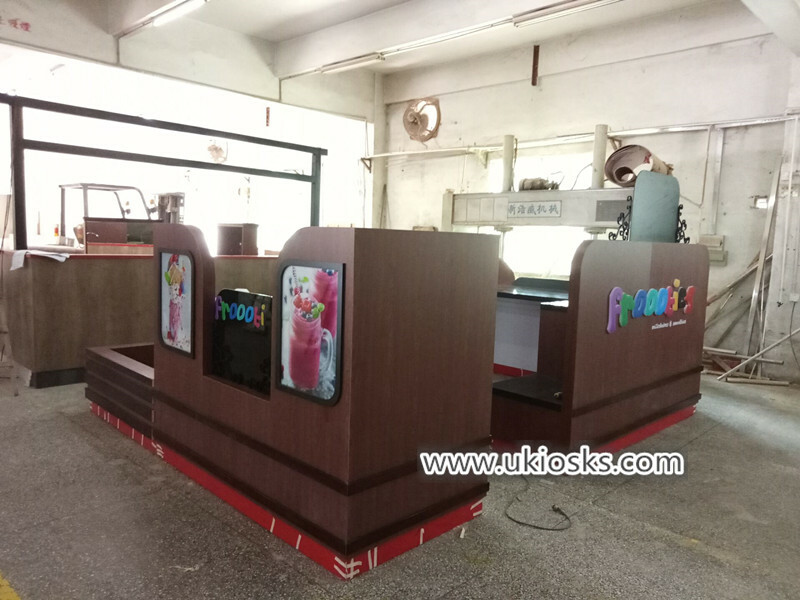 As you see whole kiosk using brown wood grain , match a little black , is very high end . 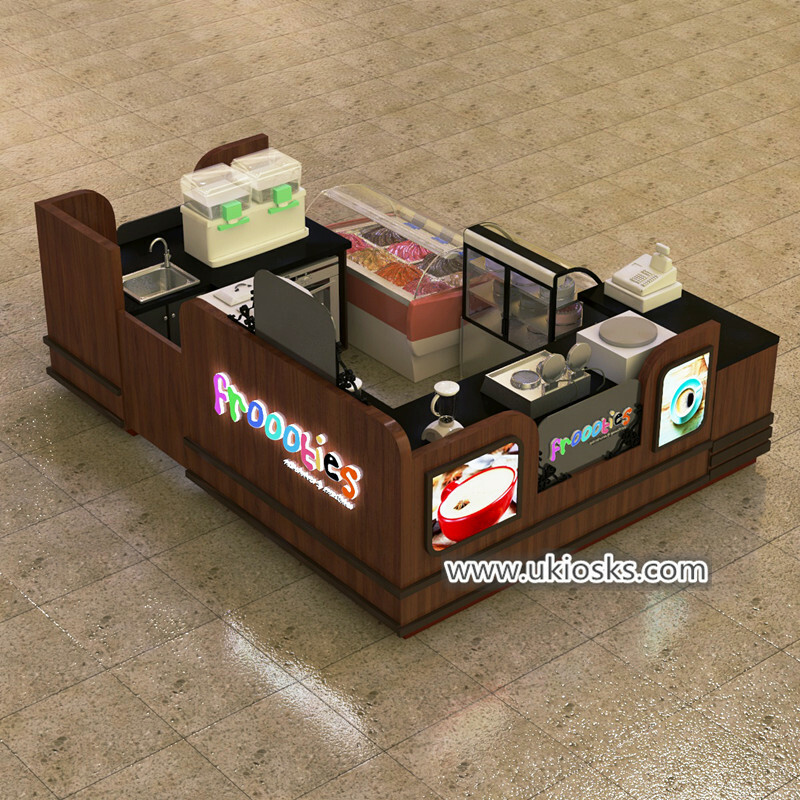 whole kiosk size is 4m length by 3.25m width , can for selling dipping ice cream , cake , juice , crepe , coffee etc . basic material is E1 plywood, surface is brown wood grain laminate , black man-made-stone worktop,red stainless steel toe kick at the bottom . 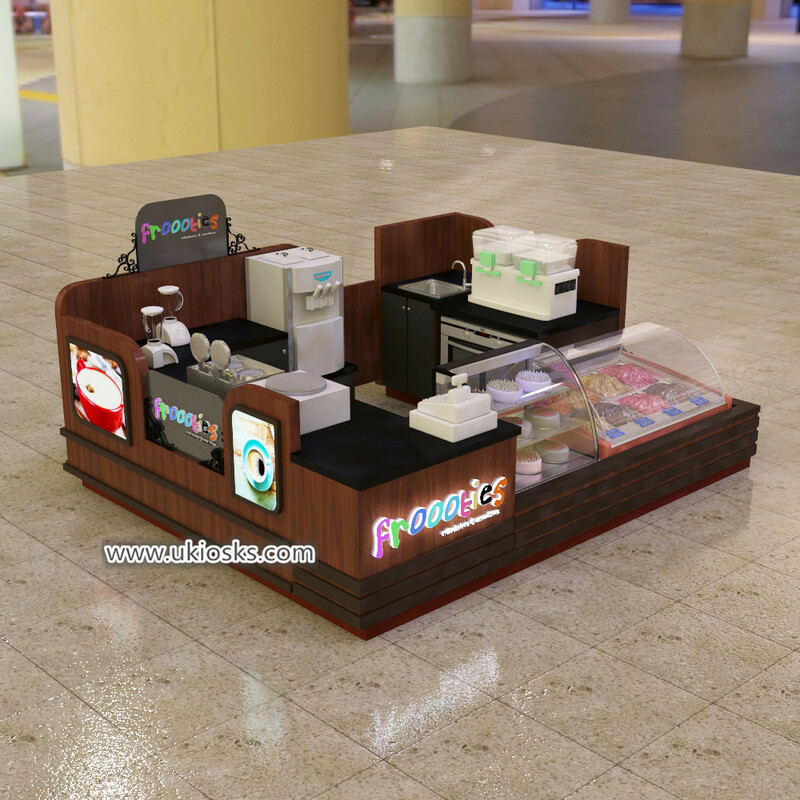 The front of this kiosk with a dipping ice cream and cake display showcase , left sides with two crepe machine and coffee machine , right sides with a juice machine and a single sink , the back sides of this kiosk with a ice cream machine and wooden counter for storage .